After just recently entering the crossover game, Jaguar is already fast on track to produce one of the first genuinely attractive electric crossover offerings with the Jaguar I-Pace in a market finally heating up in the looks department. 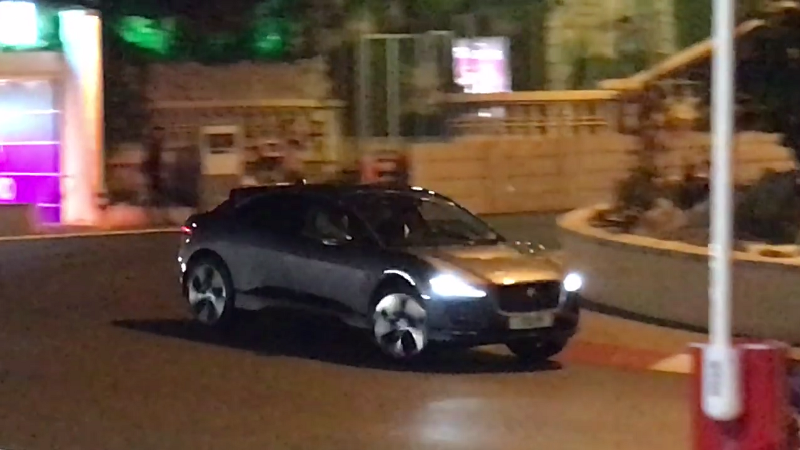 Video of what appears to be the filming of a promotional video with the new Jaguar I-Pace seems to give us a first look at what the production electric crossover will look like. Spoiler alert for the inevitable ad campaign, but the I-Pace was on the Monaco Grand Prix F1 circuit. The I-Pace concept car claimed 400 hp and over 500 lb-ft of torque, with an electric range of 220 miles on a charge. Jaguar claimed it could fully recharge in just two hours using a 50 KW DC charging network. Jaguar has long been flaunting the new I-Pace, guaranteeing it for production almost immediately. I’d wager it’s making the smart move, especially against Tesla. Where Tesla zigs with the Model 3 as compact sedan, Jag will zag with a powerful, attractive electric crossover. You can be mad but damn if this thing isn’t perfectly primed to be the future.